When James Stuart, Technical Director for Abbey Windows (Thames Valley) Ltd, received the tender for a multi-storey student accommodation building in Leicester he knew Liniar windows would be the ideal solution for the seven-storey building – even in the face of challenges like wind load and vast expanses of glass at height. Having used Liniar products since 2015, Abbey Windows installs the full range of Liniar windows and Alumina bi-folds. Abbey Windows, located in Reading, has a well-known reputation for outstanding service and quality, and with nearly four decades’ experience in the fenestration industry, when it comes to quality, the team at Abbey Windows knows what they’re talking about. The client for the Leicester project required windows which met strict World Health Organisation’s (WHO) requirements for thermal efficiency and acoustics. Initially, the customer wanted to go with aluminium windows – but James knew if they saw a Liniar window, they’d change their minds. First, James got in touch with Liniar’s Design and Development Director, Adrian Redshaw – he needed Liniar to provide results for the Tilt and Turn EnergyPlus window that would pass the WHO’s standards for acoustic performance and thermal efficiency. The team at Liniar set to doing simulations and running tests, in order to provide James with what he needed to show the client. 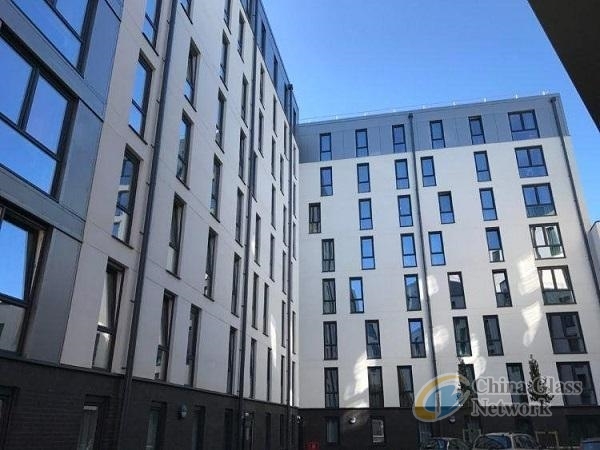 James explains, “We were approached by a longstanding commercial customer of ours to tender for the supply and installation of windows in a large student development in Leicester. Liniar was very helpful during the tender process, providing acoustic simulations and wind load calculations to ensure the windows would meet with the WHO standards required by our client. “Once we had ensured that we could meet the standards required, we were provided with a sample window for the client’s approval. The window was well received, and the client was pleased that we could not only provide a window which met their specifications but which also offered cost savings compared to the aluminium alternative. The project was an overwhelming success, and we completed the installation both on time and on budget.